CuliAir is available for groups as well as individuals; for business as well as for private purposes. Separate tickets provide individuals with the opportunity of reserving one or several seats for the ‘Sunset Sensation’ package deal. An adventurous hot air balloon dinner featuring ‘live cooking’ at sunset. The custom-built CuliAir Restaurant Hot Air Balloon can accommodate up to fourteen persons. 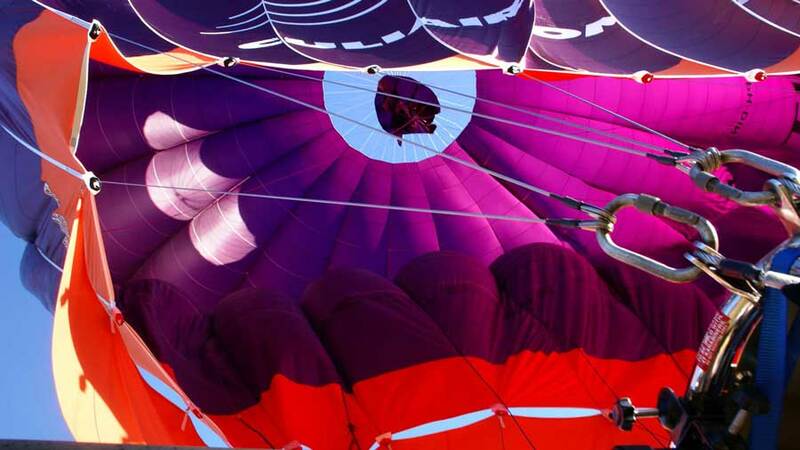 You will experience your balloon trip together with fellow passengers you do not know yet. Separate tickets can be reserved for scheduled dates. Should the trip be cancelled, then we will immediately propose an alternative date. *Separate tickets can only be obtained for the Sunset Sensation arrangement (evening flight). *Click here to book a CuliAir ticket via Bas Ballonvaarten. Dinner in a hot air balloon is a unique gift, which will literally be to the taste of any friends, acquaintances, bridal couples, relatives, or business relations. Tickets are dispatched immediately upon receipt of payment. Tickets are not person-specific. The custom-built CuliAir hot air balloon performs exclusive trips for groups, solely for you and your (business) relations at a date of your choosing. The custom-built CuliAir Restaurant Hot Air Balloon can accommodate up to fourteen persons. BAS Ballooning and CuliAir also specialise in performing trips for larger companies, by means of dining experiences featuring several balloons simultaneously. We love to provide tailor-made programmes that fit your demands. It is our pleasure to facilitate any special wishes or particulars for our guests. An exclusive dinner at star level, presented high up in the air by master chef Angélique Schmeinck. Throughout the balloon trip, live cooking takes place in full swing, and you will witness the spectacle of a hot air balloon turned into the convection oven that brought fame to CuliAir. You will feast on balloon-cooked Scottish lobster, coquilles Saint Jacques, wild sea bass, and country guinea-fowl. Each course is accompanied by a sublime wine. A heavenly breakfast in a hot air balloon suspended over an awakening world. Brioches, pancakes, truffle eggs, wild salmon, and roasted tomatoes, basking in the orange-red glow of the rising sun. Halibut and Italian ham, smoked à la minute in the heat of the balloon. Country cheeses, conserves, and champagne complete this breakfast. This is perfect timing: an early take-off to beat the traffic jams, and landing only after they lifted… An exclusive journey; you will gain an unforgettable experience! Ballooning is sheer joy – and so is sampling surprisingly great tapas and a wonderful cava. In this high-flying package deal, we present you with generous new style tapas, partially prepared in the heat of the hot air balloon. Among the delights you will taste and relish are roasted vine tomato with crab salad, marinated artichoke with garlic and avocado cream, saffron potato with king prawns in lime mousse, mussel remoulade with candied bunched carrots, countryside hen with aubergine salsa and melted new goat’s cheese, melon salsa, and naturally, the renowned duo of Manchego cheese and Iberico ham will be on board as well. Rest assured that a sparkling cava will be close at hand to accompany these tapas treats; each and every one of which is prepared à la minute by master chef Angélique Schmeinck.